With summer here it’s a great time to stock on on new athletic gear, and the new Double-Dry T-shirts and Shorts from Champion offer a great option. They’re incredibly comfortable and they look great. The moisture-wicking, built-in systems keeps you cool and dry and the soft, ultra-light fabric feels as good as it looks with a silky smooth interior and a mesh textured exterior. 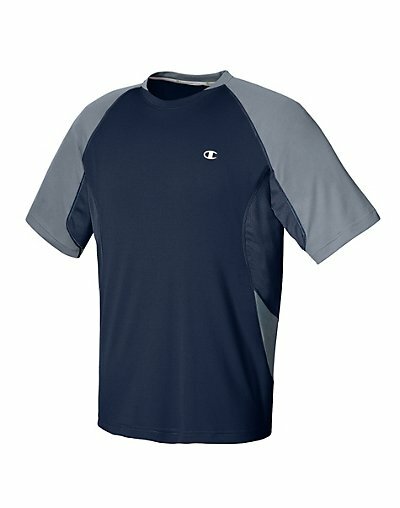 The Men’s Champion’s Double-Dry T-shirt features sleek ergonomic seams provide a more streamlined fit. They’re triple-stitched for strength and flat-locked for non-chafe softness. We were impressed with this feature in particular as the shirts are much more comfortable than previous Double-Dry versions. They’re just as comfortable as a premium cotton shirt. The tag-free fabric-taped neck also keeps its shape, wash after wash, and the easy raglan sleeves allow flexible range of motion. The shorts feature mesh side panels provide ventilation for added cooling power and the sleek ergonomic seams and Four-needle elastic waist ensure maximum ease of movement. You can follow Champion of Facebook for more information on their products. This line is engineered to make you comfortable while working out, but you’ll also look great as well. With Father’s Day coming up these would also make a great gift for the dad who still likes to get out there and play some hoops or work out, or for the dad who needs a subtle hint! Spring is here and summer is around the corner, so it’s time to get outside and get active. Put down the computer, shut off the video game and get your tail out in the fresh air with a basketball, a Frisbee or whatever else gets you moving around. Champion sent us some of their new Double Dry gear to try out, and we were very impressed. You can see a photo of the t-shirt above, and it feels just as comfortable as it looks. 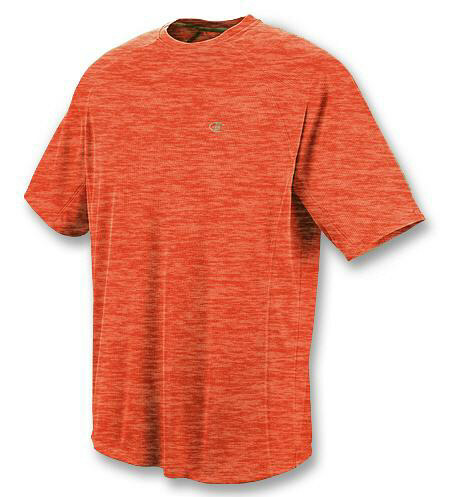 The t-shirt has sleek, ergonomic seams that provide a more streamlined fit. They’re triple-stitched for strength and flat-locked for non-chafe softness. Believe us – they are extremely comfortable and allow for a flexible range of motion. The shorts also provide a maximum ease of movement along with good ventilation, and you can adjust the inner drawcord for a flexible, custom fit. Finally, you look great in this stuff.